January 29, 2019 -- Most people in the U.S. live within a reasonable distance of a periodontal practice, according to a November 2018 report. The researchers from the Centers for Disease Control and Prevention found that 97% of U.S. adults between the ages of 30 and 79 reside within a 50-mile radius of a periodontist. They also reported that 60% of these adults are no more than 5 miles away from the nearest gum disease and implant specialist. Proximity is a good thing, considering that periodontal disease affects nearly half of the U.S. adult population. However, access to quality care goes beyond proximity. We need to ensure that all those who need attention -- including disadvantaged patients -- can receive it. The dental community is well-versed in the role oral health plays in overall wellness. This is perhaps most evident in the specialty of periodontics, where the literature suggests an association between periodontitis and systemic conditions, such as diabetes and cardiovascular disease. Areas of the U.S. that are estimated to have the greatest concentration of periodontitis, as reported by the authors of a study in the Journal of Dental Research (February 4, 2016), directly correlate with a high incidence of conditions associated with periodontal disease. Also, when most of the population is closer than 50 miles away from a periodontist, we can wager that disease prevalence reflects not an issue of proximity but a lack of awareness among patients and some health professionals. Cost also is a factor as many older adults in rural areas are covered by Medicare, which does not provide dental coverage. Although the cost of advanced periodontal treatment may not be feasible for individuals with low incomes, periodontists are trained to save natural teeth whenever possible, thus avoiding the need for potentially cost-prohibitive implant placement. Periodontists can also address bacterial factors of moderate to severe periodontal disease and provide guidance on home care and mitigating disease risk. These specialists, however, provide secondary and tertiary treatment for periodontal disease. The recent data on distance to care underscores the continued need for a safety net. Proximity does not necessarily translate to access for at-risk populations, and improving public health is about improving oral health for everyone. The American Academy of Periodontology has long been invested in increasing public awareness of periodontal disease and surveilling national prevalence to determine areas of opportunity in patient literacy, access, and treatment. We encourage our referring colleagues, community health programs, allied dental organizations, educational institutions, and government agencies to continue to do what they can. This is where thoughtful, unified work can make a difference in bridging the access gap. 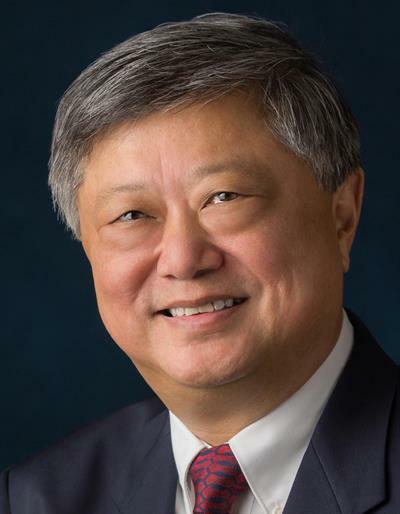 Richard Kao, DDS, PhD, is the president of the American Academy of Periodontology.